Khristenko was born in Chelyabinsk on 28 August 1957. Kristenko graduated in 1979 from Chelyabinsk Mechanical Engineering Institute with a specialization in construction management and Economics. In 1983, he completed his Candidate of Sciences in Management at the Moscow Institute of Management. In 1998, Viktor Khristenko was appointed as Deputy Prime Minister for Economy and Finance in Sergei Kiriyenko's Cabinet. Described as a "little-known reformist", his appointment drew quite some attention as it was seen as a sign towards economic reform under the Yeltsin Presidency. He however didn't survive the government reshuffling under the following Prime Minister Primakov. 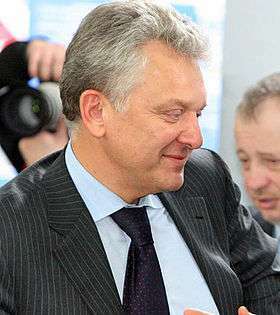 From 1999 until early 2000 he was however appointed to Vladimir Putin's First Cabinet serving as First Deputy Prime Minister. 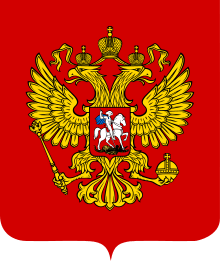 In February 2004, Khristenko briefly served as the acting Prime Minister of Russia, when President Vladimir Putin fired Prime Minister Mikhail Kasyanov on 24 February 2004. Khristenko was described as a "broadly reformist technocrat," who had shown "loyalty mixed with extreme caution," unlike the outgoing prime minister who had "openly disagreed with Mr Putin several times, criticizing the criminal investigations into the owners of Yukos. The Washington Post called Kasyanov "the most powerful ally of big business remaining in the Russian government." Khristenko, 46 at the time, was promoted from deputy prime minister to acting prime minister. Putin commented that Kasyanov's ousting was not related to the results of the government's activities, which he characterized as positive, but rather was caused by a necessity to once again confirm his position, which would guide the development of the country after 14 March 2004. Two weeks ahead of the 2004 presidential election, Putin however nominated Mikhail Fradkov to become the next prime minister, four days later to be confirmed by the State Duma. On 9 March 2004, Kristenko was appointed Minister of Industry and Trade instead, a post which he held until 31 January 2012. Khristenko became the first Chairman of the Eurasian Economic Commission, which started operations in February 2012. He resigned on February 1, 2016. Khristenko's second wife, Tatyana Golikova, was Minister of Health and Social Development from 2007 to 2012. They married in 2003. 1 2 Baker, Peter; Glasser, Susan B. (25 February 2004). "Putin Fires Premier, Cabinet In Surprise Pre-Election Move". The Washington Post. p. A17. Retrieved 19 August 2010. ↑ "Viktor Khristenko" (PDF). ECE. Retrieved 25 August 2013. 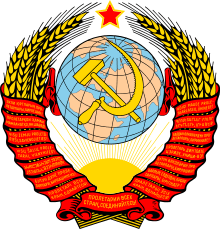 ↑ Russia Profile Viktor Khristenko Archived 28 June 2009 at the Wayback Machine. ↑ "Viktor Khristenko: the third reformer". BBC News. 29 April 1998. Retrieved 19 January 2015. Wikimedia Commons has media related to Viktor Borisovich Khristenko.